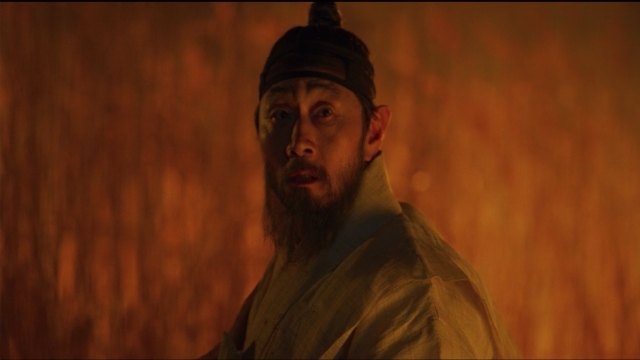 In the previous episode of Kingdom, Lee Chang, Mu-yeong, and Seo-bi evaded arrest and set off to Sangju to meet with Lord Ahn Hyeon. The head scholar, Kim Sun was arrested for conspiring against the crown and the rest of the scholar leadership learned of the zombie disease ravaging the kingdom. What does this next installment have in store? Let’s find out as we recap Kingdom season 1 episode 5! Chang and company had made camp for the night in an area that seemed to be zombie free. Mu-yeong assured Chang that he was not at fault for the massacre carried out by the Royal Army at Jiyulheon. 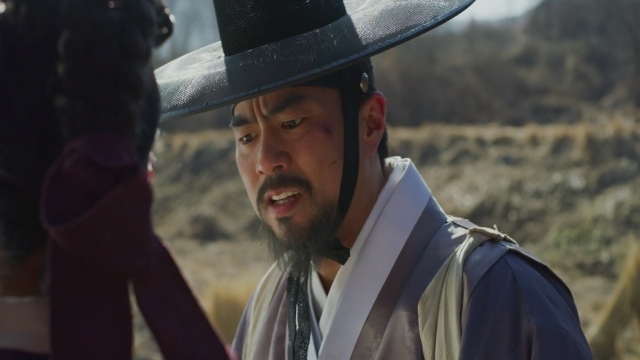 Chang believed that his desire to be a different style of ruler caused the deaths of the villagers, but Seo-bi assured him that he was not at fault. Mu-yeong told Chang that he believed their guide to be a former member of the tiger hunting squad. The guide returned and informed Chang that all of the villages in the surrounding area had yet to be affected by the disease. Seo-bi was gathering vegetables when she heard the unmistakable noise of an approaching zombie. She ran back to camp and told the others, the zombie turned out to be the magistrate who had survived the attack on the boat. 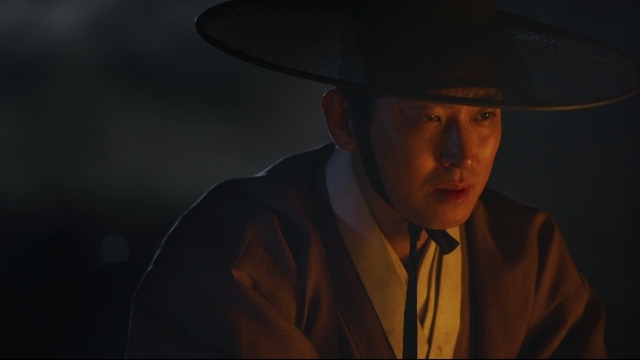 After threatening the magistrate’s life, he told Chang of the zombie on the boat and how the disease had likely spread throughout Sangju and would reach Hanyang soon. The group set off for Sangju and stopped at a village along the way. 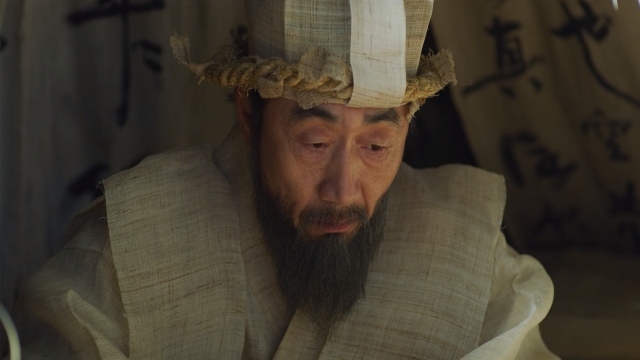 Lord Ahn Hyeon heard of the rumors of a disease and prepared to leave the city. He was taken to investigate the wrecked ship that had fled from Dongnae. In the village, Chang learned that the villagers had looted the ship and had buried the bodies of all the passengers. The villagers agreed to take Chang to the location where the bodies were buried in exchange for a lesser punishment. Chang and company were lead into a field, and the villagers revealed that they were planning to kill Chang and everyone else to keep their crimes secret. The sun fell and the corpses re-animated killing the villagers in the process. Ahn had heard the commotion and made his way to the field were he save Chang’s life. Chang and Ahn went back to Ahn’s residence in Sangju and discussed the condition the king was in. Seo-bi noted to Mu-yeong that she found it odd that Ahn was not phased by the zombies and knew how to fight them proficiently. The group went to bed for the first time in a few nights. The next morning, the magistrate offered to take Seo-bi away from Sangju as the Five Armies were coming to arrest Lee Chang. The Five Armies had actually been sent to close the gates between Hanyang the rest of the country, protecting the capital from the disease. What did you think of Kingdom season 1 episode 5? Let us know in the comment section down below! The post Kingdom Season 1 Episode 5 Recap appeared first on ComingSoon.net.